Believe it there are many reasons that people chose to fly on a Private Jet and some not as obvious as others and definitely what you would think, but if you can afford this kind of way to travel than I know I would never again fly commercially. It is not only for the elegance, luxury, convenience and comfort but the privacy and prestige. I saw an article the other day featuring Mark Wahlberg and it revealed that in 2001 he was supposed to have been flying on one of the ill-fated aircrafts that crashed into the Twin Towers. He instead chose to fly on a Private Jet to Canada to visit a friend on the set of his current movie. Now it seems for safety reasons and avoiding the risk of another terrorist attack he prefers to take a jet. Sometimes the only way to get out of a country under attack or threat is to Charter a Private Jet to come to your rescue and it is also a relief for some to know that they are travelling only with people they know and trust. For some people their pets are just as or if not more important than their children and when you travel commercially little fluffy has to travel alone, cold and frightened in the cargo compartment. This thought can be unbearable and most operators will allow passengers to take anything on board. I believe Mariah Carey likes to take her fury friends on board with her as she was spotted splashing out more than 100,000 for her eight lucky pampered canines, maybe James Packer had a point about her spending too much! When most women fancy a new frock and some matching high heels they would, like the majority of people, jump in their car, take an uber or get a bus and head down to the nearest shopping centre. They then head to their favourite stores hunting down a bargain. But if you are like Beyonce when she was in Paris staying beside the French Riviera she chartered a Private Jet to shop in her favourite store that just so happened to be in London. Arriving in style and with little or no luggage restrictions you can see why the royal families and celebrities would fly anywhere around the world and return home with more shopping bags than a commercial aircraft would allow. Although paying extra for oversized or additional luggage I feel is not really going to be a concern. Whether it is Paris, Milan, Nice, London or closer to home in Sydney and Melbourne the hottest shopping destinations can attract many Private Jets with eager shoppers onboard. Let’s face it you don’t fly on an aircraft and look forward to the cuisine that you are going to be served but when you fly on a private jet you just set your own menu. It is actually very common to see our Jet Setters request food from their favourite restaurant so they can enjoy sampling Michelin Starred quality cuisine and sipping on a glass of Dom Perignon at 42,000 feet. Surprisingly on some Private Jets you are allowed to smoke a cigarette on board which could be catastrophic on a large commercial aircraft however well controlled on a private jet. As the number of people jet-setting across the Globe increases, so does the size of airports. Let’s take Dubai International Airport as an example. Terminal three is the largest airport terminal and largest building in the world by floor space. Statistics from early 2014 show that there are over 7000 weekly flights operated by 140 airlines to over 230 destinations across every continent except Antarctica. Dubai International Airport is handling over 80 million passengers annually. Queuing at customs can take hours if you are unlucky enough to arrive during one of the peak times early in the morning or just after midnight. When flying on a Private Jet you avoid all of this. Not only can you chose the time you want to depart, but you can relax in one of the VIP Lounges, (like ours at Archerfield Jetbase) well away from the main terminal. You are only required to arrive twenty minutes before you are due to fly away or as I have seen many times just turn up any time you like. The Private Jet waits for you not the other way round and you are not rushing through busy terminals just to get to the gate on time. Private Jets are not just chartered for luxury holiday getaways and corporate business trips but are often utilized for the transportation of dangerous goods or precious materials. Some common examples are weapons, gold and diamonds. Often it is essential as it is faster and more flexible with cargo that spoils quickly. It can be a matter of urgency for something like medicines as the effectiveness of these drugs decreases with passage of time. Private Jets are also used to transport organs for patient transplant, where time is critical. Commercial aircrafts cannot always travel to the remote destinations that some corporate companies or individuals need to travel to. This is especially relevant in the vast Australian outback. Private Jets can get you to the most remote areas and still have you home the same day in time for dinner and tuck the kids into bed! A number of celebrities, royal families and government figures will charter a private jet to avoid the gazing public eye. Angelina Jolie often takes a jet around the world for her U.N. commitments as she travels to some of the most dangerous countries in the world. Although some of these high profile people will have their own aircrafts there are occasions when they will have to go into maintenance or they have invited an entourage to accompany them and they will then charter a separate jet. There are many famous rock bands that tour the world on a Private Jet. The hectic schedules and concert dates limit their rest time between concerts and waiting around for hours to fly on a commercial aircraft is just not an option. All of the reasons above have clearly shown why we all would if we could fly on a private jet. 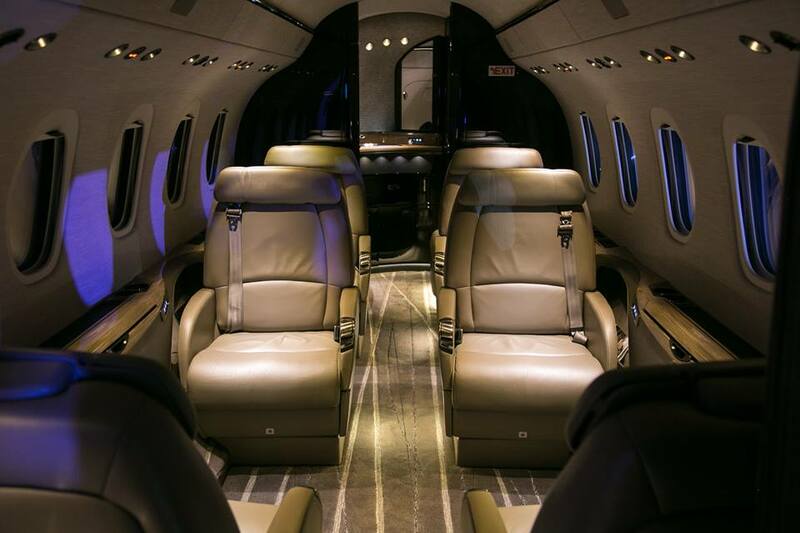 Above all else mentioned flying private is just that – private. Once onboard with only the people who are invited the whole aircraft is yours. Play a movie or music at any level with speakers throughout the cabin. The jets will can be equipped with laptop connections, phones and wifi. For businesses sometimes time is money and on a private jet they can plan their meetings and visit multiple destinations in just one day. If travelling overnight on some Private Jets comfortable beds can be made up to ensure passengers are well rested. As the aircraft is descending into the airport, the crew will call ahead so that as soon as the Jet has arrived the limousine is already positioned to whisk you away. Now really I could go on about the reason that Flying Private is the only way to travel buy honestly it is. Light Jets Australia assists people to travel this way and although it is easy for the wealthy to afford there may just be a cheeky empty leg flight we can find so that anyone can enjoy the ultimate experience for half the normal price. Our HQ at Archerfield Jet Base was buzzing last Thursday with the arrival of Cessna’s latest dream machine the Citation Latitude. This was the first time the Latitude model has visited Archerfield Airport. If this was not exciting enough Lamborghini were also here to launch their newest model the Lamborghini Huracan Avio Special Edition. Avio pays tribute to the world of aviation and aeronautics through its name, colours, and materials. So where better to launch this aviation themed supercar but Hangar 005, Archerfield. Considering all the history the hangar has in Australian aviation we thought it was very fitting. Only 250 have been produced worldwide and the car will set up back a cool, $600,000 AUD. If you are speed fanatic though and have that kind of money lying around this car is fast. That’s to be expected when you have a 5.2-liter V10 engine that produces 602 horsepower and 413lb of torque at 6500 RPM. It can actually get from 0 to 60 kph in just 3.5 seconds. The highlight was the luxurious backdrop of the new Cessna Citation Latitude jet. This was the show stopper. With a list price of 22 million USD this makes the Lambourghini look cheap! 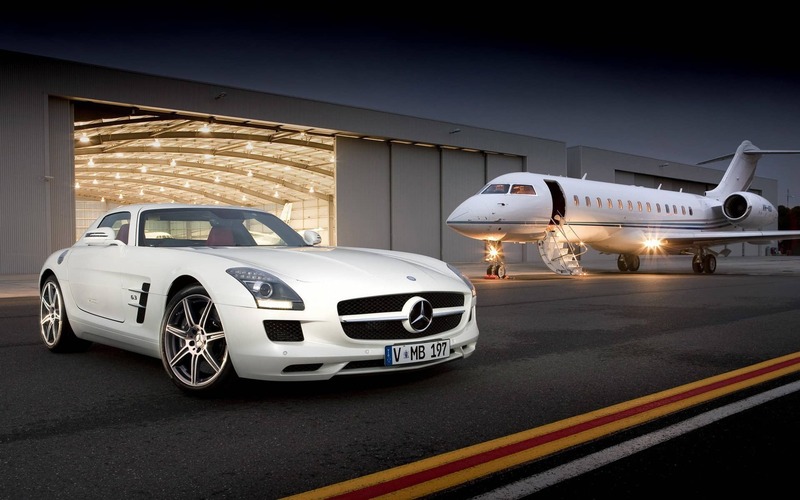 This is the ultimate luxury in private jets. The 9 seat stand up passenger cabin is luxurious down to the last stich on each leather seat. This midsize jet has a length of 18.97m, a wingspan of 22.05m and a height of 6.38m, meaning it was a little too tall to fit into our hangar. With a cruise speed of 446 knots (826 km/h) this aircraft is fast. It’s also got a good range of 2,850 nautical miles (5,278 kms) and can reach a maximum height of 45,000 feet making it fuel efficient. The cockpit also boasts the latest Garmin G5000 avionics. The event was attended by the media and 40 very lucky special guests of Lamborghini were treated to a sit down meal, a tour or the jet and were able to sit in the latest Lamborghini. Everyone at Light Jets Aviation were thrilled to have been involved in such a great occasion and we look forward to hosting a similar event in the near future. It’s great walking into our headquarters at Archerfield Airport every day and get that feeling of aviation nostalgia and history. Hangar 5, now home of the Light Jets Aviation Group, is steeped in Australian aviation history. This is where Qantas built their first ever aircraft hangar in 1930. At the time this was the largest single span hangar in Australia. When the Light Jets group took over the hangar it was in desperate need of some tender love and care. The Directors of the company embarked on a One Million Dollar redevelopment program which included restoration of the hangar, a new private jet lounge and offices. Archerfield airport was opened as Brisbane’s main airport on 1 April 1931 and is now Brisbane’s secondary (or General Aviation) airport. Qantas were followed by Sir Charles Kingsford-Smith’s airline A.N.A., New England Airways, Airlines of Australia, South Queensland Airways and the Queensland Aero Club. Many notable persons used the airport in the early years, these including Lois Bonney who flew her Gypsy Moth solo to England in 1934. The most prominent flight was that by Kingsford-Smith in the Lady Southern Cross from Archerfield to San Francisco in 1934, the first west-east crossing of the Pacific Ocean. Archerfield became an international Airport in December 1934 with the first overseas airmail service from Australia to England and Qantas’s inaugural service from Archerfield to Singapore a few weeks later. So next time your passing why not pop in to Hangar 5 for a visit and see a bit of Australian aviation history looking as good as it did when first built back in 1930. You can also now hire out our hangar for functions, what better place to hold your next corporate event but in Qantas’s very first hangar.